November | 2013 | The Race Dr. The number #5 driver to watch is the defending champion of this race, #24 Jeff Gordon. Jeff has 10 starts here, that win last year, and six Top 5’s. In fact 80% of his starts here were Top 10’s and 60% were Top 5’s – he is very consistent here. My #4 driver to watch has the highest average finish here, #99 Carl Edwards. Carl has nine starts here with two wins and five Top 5 finishes. Carl won here three years ago and helped solidify this as a “Roush House” as his team Roush/Fenway has won six of the last nine races here. My #3 driver to watch has terrible stats here, #15 Clint Bowyer. Clint has just seven starts here and two Top 5’s. But since arriving at Michael Waltrip Racing two years ago, his results have been much better. Clint finished 2nd here last year. My #2 pick is in a strong battle for the championship, #20 Matt Kenseth. He is #1 on these downforce tracks and is #4 hottest over the last six weeks. He has ten starts here, one win, and three Top 5’s. His win came back in 2007 though. To even have a shot at his second championship he needs a BIG finish. My #1 driver to watch is coming off a win last week in Phoenix, #29 Kevin Harvick. Kevin has ten starts at this track and five Top 5 finishes. He is #3 in average finish and in his ten starts 90% have been Top 10’s and half have been Top 5’s. Hendrick Motorsports stays at #1 where they have been most of the year. In fact the first six teams don’t change at all this week. Michael Waltrip Racing and Earnhardt/Ganassi Racing swap spots also Stewart Haas Racing and Richard Petty Motorsports trade places. Thursday look for our Top30 drivers at Miami-Homestead Speedway. Top 10 on Downforce tracks, Wednesday look for out Top 10 Teams and Thursday look for our Top 30 for Sunday’s FORD EcoBoost 400 from Homestead-Miami Speedway. It doesn’t seem that long ago that 45 drivers showed up at Daytona in February to get in the Daytona 500. Two drivers were eliminated in the duel races. Forty-three started the race hoping not only to win the race but kick off the 2013 season in the best way possible. Jimmie Johnson won and left 42 drivers thinking we’ll try again next race. Fourteen different drivers found Victory Lane from nine different teams this season. Nine races ago thirteen drivers made it into the Chase for the Cup – thirteen drivers in 10 races to decide the 2013 Sprint Cup Champion. Ten Chase drivers have been mathematically eliminated, three drivers remain. Now after thirty-five races, it all comes down to this: Matt Kenseth sits 28 points back from the points’ leader Jimmie Johnson. Bottom line is: to guarantee a championship Jimmie Johnson needs to just finish 23rd or better, if he leads a lap 24th will do it, or if he leads the most laps 25th or better. Even if Matt wins! Look for both to do whatever they have to, to lead at least one lap to get the one bonus point for leading a lap. Matt is going to need to win and for Jimmie to encounter trouble. Kevin Harvick needs to win and for both other drivers to encounter colossal failure. This track was reconfigured just before the 2003 season. Since that time only four owners have found Victory Lane. Joe Gibbs Racing won here twice and Roush/Fenway Racing had six wins. Tony Stewart won two years ago for Stewart Haas Racing and last year we saw Hendrick Motorsports get their first win here. Can Matt or Kevin pull off a huge feat and snag the Championship or will Jimmie Johnson get Championship number six? We’ll know on Sunday. Tuesday look for our Top 10 drivers on Downforce tracks going into Homestead-Miami. My #5 pick is a former-winner, #11 Denny Hamlin. Denny has 16 starts here and eight Top 5’s. Denny is the best driver on the new configuration here. In the tfour races since they made some changes he three of Top 5’s including his win. He is out of the Championship hunt, but for his own off-season sanity he needs to finish this season well. My #4 driver used to be very good here, #20 Matt Kenseth. Matt has 18 starts, one win and five Top 5’s, but his last Top 5 came in 2007 and his win was in 2002. I think that the move to Joe Gibbs Racing here, like just about everywhere else will show big gains for Matt. He finished 7th here earlier in the year. The number #3 driver to watch is an outstanding flat track driver, #88 Dale Earnhardt Jr. Jr. is a solid Top 5 flat track driver and comes in here 2nd hottest over the last six weeks. He finished 5th here earlier in the year and his team Hendrick Motorsports has a combined eight wins in the last ten years. That’s 40% of the races! His crew chief has no shortage of great notes to work from. The closer #29 Kevin Harvick. Kevin is the defending champion of this race and has finished in the Top 5 in half of the four races run since the track reconfiguration. He has 23 starts three wins and six Top 5’s. He is third in points and third hottest and I think he’ll go down swingin’ trying to close the gap with the two points leaders. 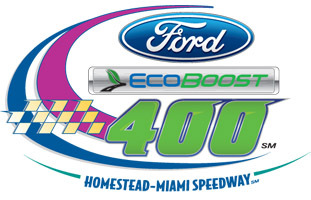 Monday look for our preview of the Ford 400 from Miami-Homestead. Top 30 drivers, Friday we break down the Top 5 drivers to watch.